World Water Day – Do you know how much water a light bulb consumes? By 2030, researchers estimate that the disparity between national water demand and reliable water supply wil l be nearly 50%. Currently, India has a total water demand of around 700 billion cubic metres, of which almost 85% is used for producing food. In another 17 years, India will have only half the water it needs, thanks to global warming and population explosion. 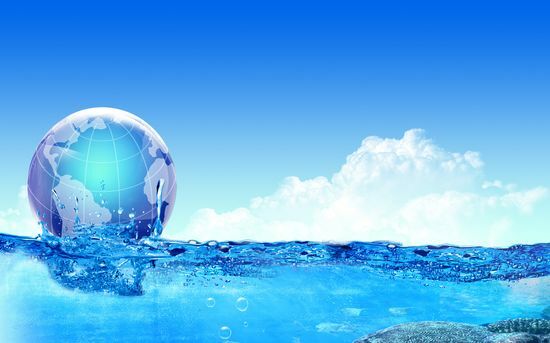 On the World Water Day on March 22, the need to focus attention on the importance of freshwater and advocating sustainable management of freshwater resources will be of pivotal importance. If we consider even the most cost-effective solution to reduce water scarcity, it will require an annual spend of nearly Rs35,000 crore by 2030, according to ‘Charting our water future: Economic frameworks to inform decision-making’, a report by global management consulting firm McKinsey & Company.The report stated that India would require investments to the tune of Rs8 lakh crore over the next 20 years to provide basic infrastructure services like water, waste water and solid waste management. In India, just about 64% of urban population is covered by individual water connections compared to 91% in China, 86% in South Africa and 80% in Brazil. Allocation of Rs15,260 crore has been made in the Budget towards clean drinking water and sanitation as against revised estimates of Rs13,000 crore. A DNA News report by Dilnaz Boga. While reading this under my study light, I looked up and started thinking – how much water does my light drink? I found some interesting answer under Saving Electricity, on water consumption to produce electricity (more information can be found in EIA page ). While I would not be able to verify the facts noted as under, even believing them to be accurate to some extent, presents a very sombre scenario. This information required some chilled soft-drink and potato chips and lowering the temperature of the A/c. After all I have attended so many conferences on climate change, I have by now got used to the habit of consuming good food & drinks in luxury. How else can one solve the pressing issues of water scarcity and its related fall-outs like war and riots? Hunger and malnutrition caused due to drought and famine too requires a chilled pineapple juice in a PET bottle to be addressed properly. Now let’s do some simple maths – 1 gallon = 3.78 litres (US- liter). As on July 31, 2010, and as per the Central Electricity Authority the total installed capacity of Coal or Lignite based power plants in India are 87093.38 MW. So the water required to produce this electricity 87093.38 x 2268 liters = 19,75,27,786 litres. (assuming all are closed loop consuming 600 gallons/MW) Presently we have around 111 Thermal power plants which are coal/lignite based. While it can be argued that water is recycled most of the time. That the coal, nuclear, Bio-mass, Natural gas fracking power plants require water can not be denied. And it is impossible to stop the leakages. Some of it will have to escape, thus requiring continuous replenishment. Even Solar thermal requires water, though it can be called a saint in comparison to the others. Thus a huge amount of water is not reaching the fields of a drought hit farm, or recharging the wells to quench the thirst. 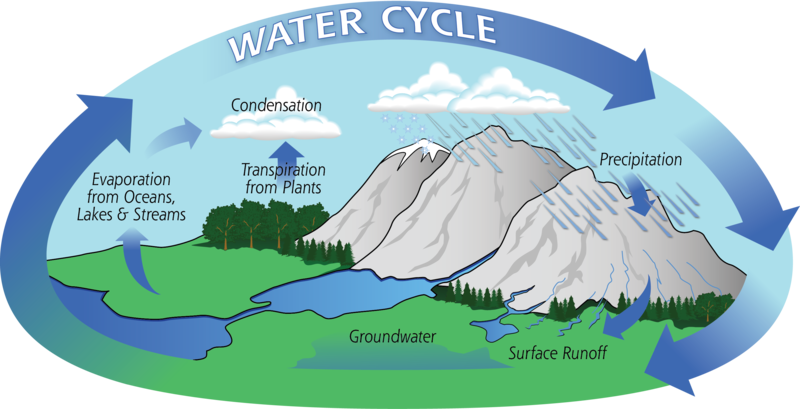 So with every drop of electricity produced we are removing vast amounts of water from the natural water cycle. This must be clearly understood. India has an installed power generation capacity of 2,10,950 megawatts of electricity, according to government figures. And as per various estimates, India’s power generation meets only 90% of total demand. As the demand for electricity for a resurgent India is bound to increase, the thermal power plants have to increase their capacity or new plants would be needed to be set up. Same would be the case for Nuclear, Natural Gas, Bio-mass and Natural Gas Fracking. With the table given, it is easy to the calculate how much water is required to produce electricity, which most of us waste. The common person needs to understand that Energy & Water are interlinked. Just as it is inside the body of a human. Without water, one has to die. Similarly without water we shall have no electricity. Until Renewable Energy, especially Solar PV and Wind mature to cover the demand supply gap. But this is not happening any time soon. It is a choice in front of the intelligent animal named “human” to decide which is more important. To quench its thirst or thirst for more power to light up the ugly, unsustainable city which it habitats. The situation soon would be a choice of one or the other, unless we change the way we live. Sustainable design and living is no more an option but a necessity. In my opinion, to celebrate World Water Day, municipalities all over the World should announce 1 day of no water supply. This would make each and every citizen sit up and take notice of the school children walking down the streets holding placards on how to conserve water. The Police should arrest water thieves, a common thing in India & many other Asian countries and parade them in front of the media before putting them in jail. It is only then the seriousness of the problem be understood by the people. If at all. For as long as city dwellers get their share of fresh-food and water supply, they care a damn from whose mouth it has been snatched. Thus, we will find people continue to throng so-called Holy men doing the unholy act of wasting water in cities of states which are in grip of severe drought.It is the mindset of the people which needs to be changed with sustained practical approach towards sustainable practice. And one such idea could be by educating the people in a more grass-roots approach. We all need a home to live. And most in India aspire to own a home. This could start with the building industry. The building industry consumes 40% of the world’s energy needs and 60% of all waste stems from it. The Indian Builders Association has been seeking the Infrastructure status from the Government for a very long time. The Government could moot a law that in exchange of giving into that demand, the top management of all big and small builder and related stake-holder companies must go for certified & comprehensive Green Building training. India practices two wonderful Energy Efficient Building design certification program through IGBC & GRIHA. Since its inception in 2001 IGBC, which practices the Indian version of LEED has 1,972 registered buildings and 149 projects are with GRIHA which opened in 2007. (source: Click here ). It is too small a number to effect a reverse change in the Global Warming and Water & Energy conservation. But if developers are made to attend Orientation Workshops as is organised by Centre for Science and Environment along with those by TERI -GRIHA and CII-IGBC. And without whose valid certificate one would not be given the licence to build, we may still be able to make the desired change we want in our effort to conserve Water and Energy. This would automatically percolate to the public, the home/office buyers who would be bombarded by the green information in every brochure the developers distribute. And when the public starts to use the facilities and notice the difference it makes to their lives, the mission would have achieved its target. And for once I believe this not to be a wishful thinking but a doable project. All that is needed is support from those who can influence the decisions of Governments.